The Paintings in Hospitals project, another strand of the Access to Art project, is a collaboration between the museum, the charity Paintings in Hospitals, Orleans House Gallery and Richmond Carers. 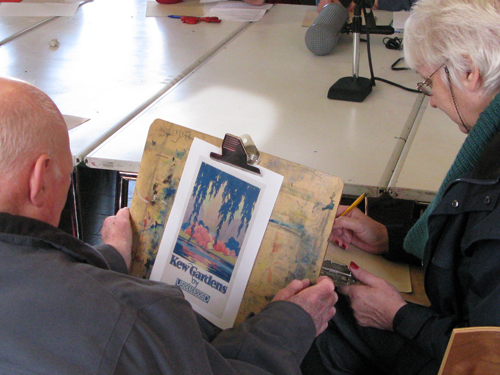 As part of the project the museum recently worked with Richmond Carers and their families to use the poster collections as inspiration to make a soundscape. This part of the project, which will take place over 3 separate sessions, examined 5 posters that are to be gifted to Paintings in Hospitals. 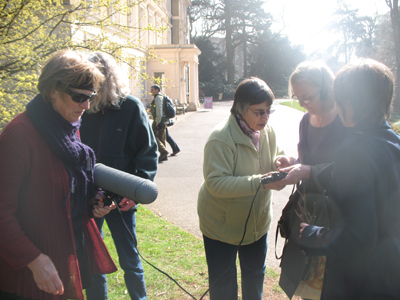 The aim is to create a soundscape in response to one of them which will later be recorded at Royal Botanic Gardens Kew. 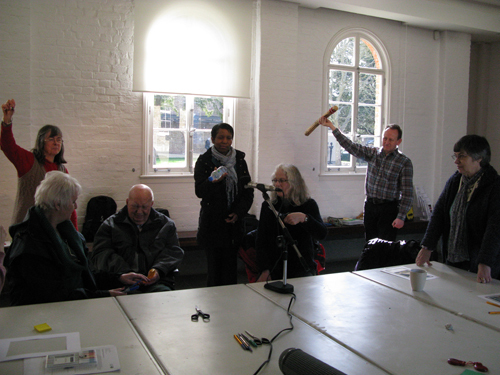 A group from Richmond Carers met at Orleans House Gallery in Richmond for the beginning of the project. 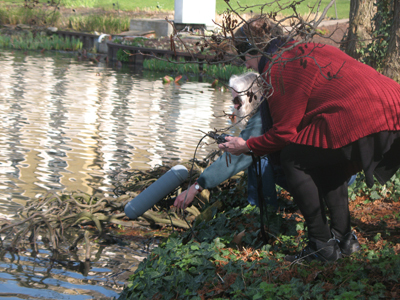 The first element of the project was to think about what a soundscape is and how we were going to make one. Participants worked together to examine the posters by doing short creative workshops which included one participant describing a poster while another created a drawing based upon the description (below). This was then followed up with an introduction to the microphone and what it does. This element of the day was led by sound engineer Rhys Beetham from Audiopost. He and the group explored how to create sounds and what things really sounded like when you listen to them more closely. Many of the sounds which surround us are not engineered to be listened to and therefore we often simply block them out. If we were to gain anything from this project it would be to notice more of the sounds around us and to gain a greater experience of the world by making better use of our senses. 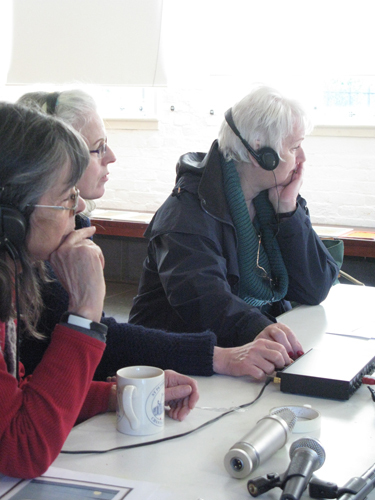 In the workshop the participants listened to the sounds through headphones (above). They noticed that by moving the sounds first closer and then farther away from the microphone it created a sense of space using just sound. We wanted to use this technique when recording sounds for the soundscape to create this illusion of space. Join us again to find out about how we get on at the Museum Depot in Acton.